I'm a sucker for unique pieces of jewelry. Jord Wood Watches are made from all-natural wood, which makes them beautifully different from all the other rubber & metal watches out there. They come in multiple creative styles and designs for both men and women. Each watch has scratch resistant faces and are splash proof (not waterproof). The grain and colors of the woods vary so your watch is definitely unique to you! I chose the Ely watch in black, and I couldn't be happier with it! Though it is made of wood, it is surprisingly lightweight and I love that it can be worn with everyday clothes or with something a little more dressed up. 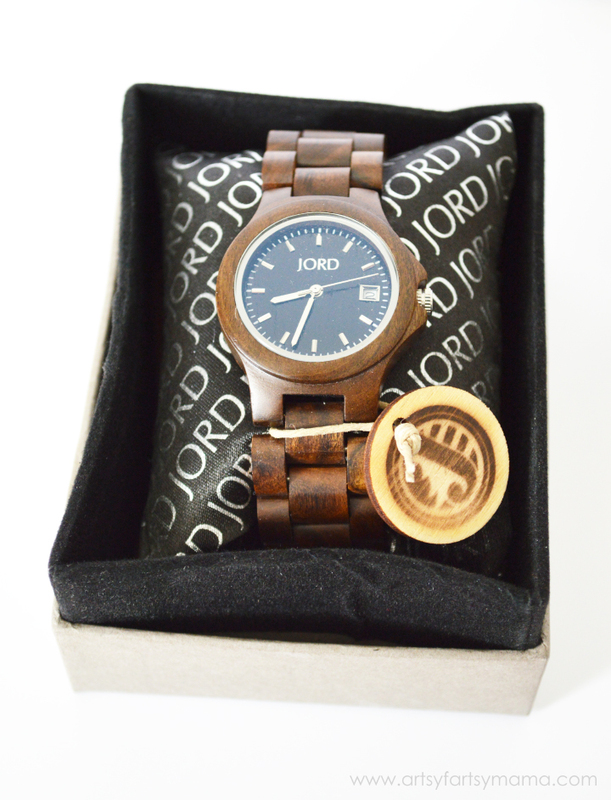 You can find more about JORD Wood Watches on Facebook, Instagram, Twitter, and Google+. 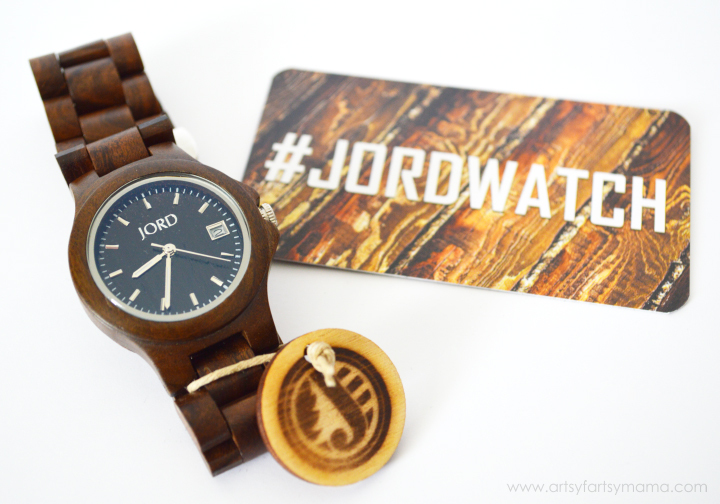 I received the JORD Wood Watch in exchange for my honest review. As usual, all opinions are 100% my own. I like the Sully in Cherry and Cherry & Maple. Thanks for the giveaway! I adore the Delmar style in red! So so beautiful! :) my favorite was the ely in black!!! :) I love the ely in black!!! I love the fieldcrest maple! The Fieldcrest watch with the black face is my favorite :) Awesome company!! So pretty and unique! My fave is the one you chose. I like the sully series wood watch in cherry and maple. I REALLY like the Fieldcrest! My favorite is the SULLY in Red and Green with Cherry wood! I couldn't pick one color! But i am definitely a red fan! I love them all! The 746 series caught my eye for my hubby! I love the Sully with cherry and maple...the two tone makes it really stand out. My hubby would love the 746, and I love the Fieldcrest series! Beautiful- what a great giveaway! I love the PUJOLS FAMILY FOUNDATION WOOD WATCH one! What a cool giveaway! I love the Ely in Cherry! The Delmar style in red, just my style! What a fun giveaway! My husband would love to win one of these. Thanks for the giveaway. Ever Since I discovered wood watched I have wanted one. Thanks for this opportunity! I like the simplicity of the Ely! Sully in Cherry and Cherry & Maple. Thanks for the giveaway! The Fieldcrest watch is awesome! My husband would love any of these watches. I've never heard of these before but I like them! Thanks for the info! 746 SERIES Cherry & Black! so beautiful. I love the Ely series. I think I'd wear it myself! I love the Ely in Black. The Sully series in cherry & maple is gorgeous! So is the Ely series in cherry! I like the Ely watch in maple.